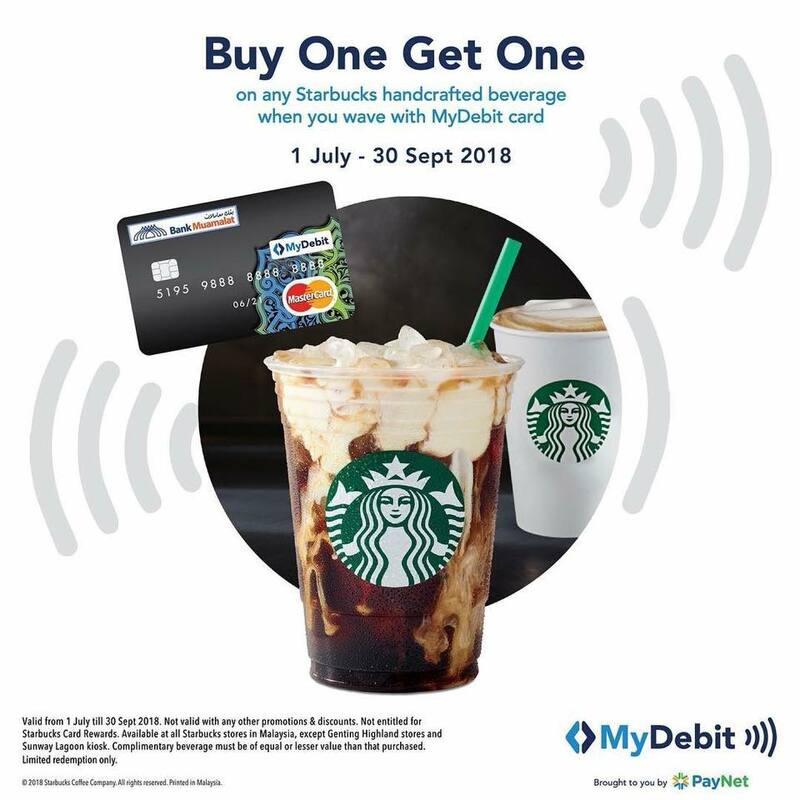 - Valid from 1 July – 30 Sept 2018. 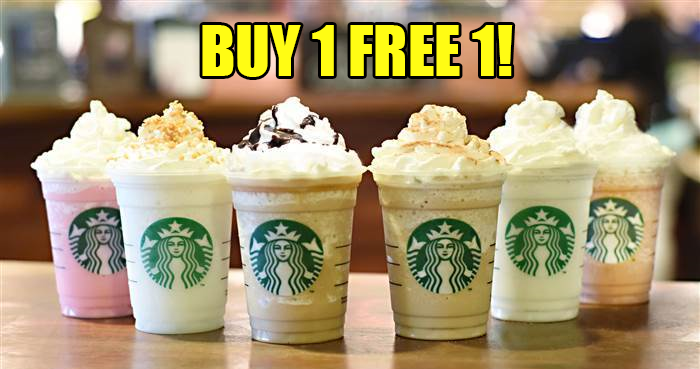 - Not valid with any other promotions and discounts. 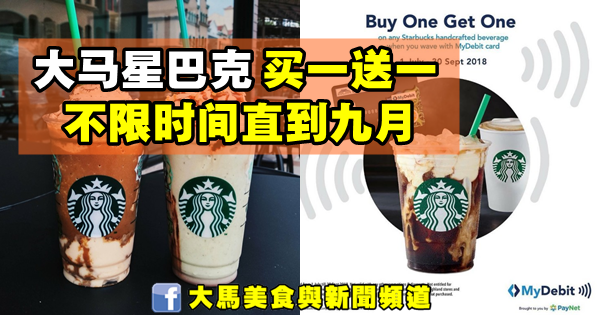 - Not entitled for Starbucks Card Rewards. 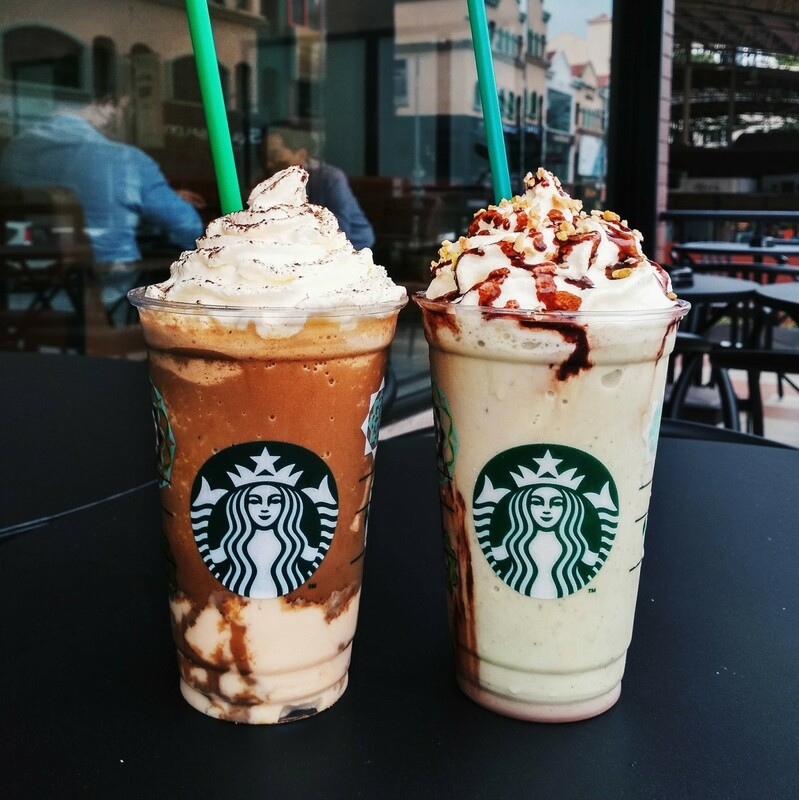 - Available at ALL Starbucks stores in Malaysia, except Genting Highlands stores and Sunway Lagoon Kiosk. - Complimentary beverage must be of equal or lesser value than the purchased.